Location: On the north side of Horton Park Avenue, opposite the junction with Powell Road. 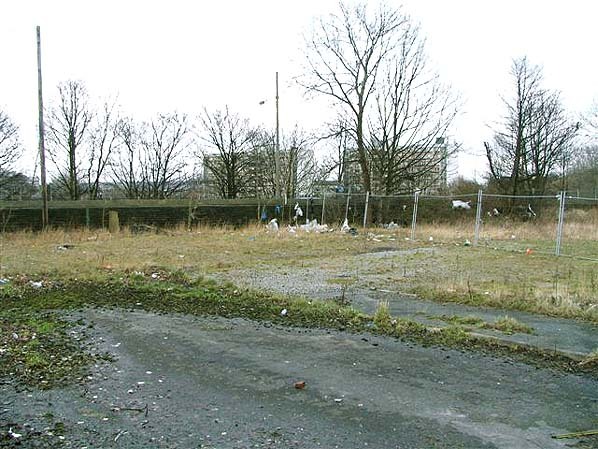 Present state: Demolished - the site is being redeveloped as a car park for a new mosque. 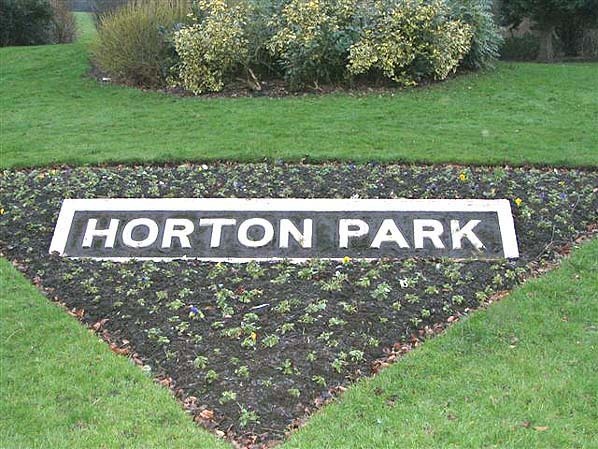 The concrete station name board can be found displayed in a flower bed in Horton Park on the opposite side of the road. Notes: The line from Bradford to Thornton via Queensbury was opened as a joint venture between the Lancashire & Yorkshire Railway and the Great Northern Railway between 1876 and 1878. Once out of Bradford, the line was mostly rural and necessitated the construction of many earthworks, viaducts and tunnels. Its hilly nature earned it the nicknames of 'the Alpine route' or 'the switchback' from its loyal drivers. 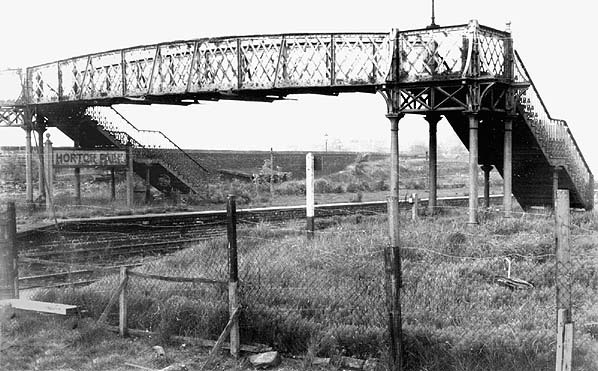 Horton Park station was opened on 23.10.1880, two years after its neighbours. It did not serve a particularly large residential area and was built mainly to serve the adjacent Park Avenue football ground. It was therefore busier at weekends and match day traffic used the station on occasions even after normal passenger services ceased in 1952. After closure the station was still available for specials for cricket and football matches at Park Avenue and the station remained in use for occasional goods traffic until August 1972 when it was closed completely and the line was lifted.